Boston's funniest children's entertainer! Winner of Boston Magazine's "Best of Boston Award'" and Nickelodeon's Parents Picks' Award - "Boston's Best Children's Entertainer." 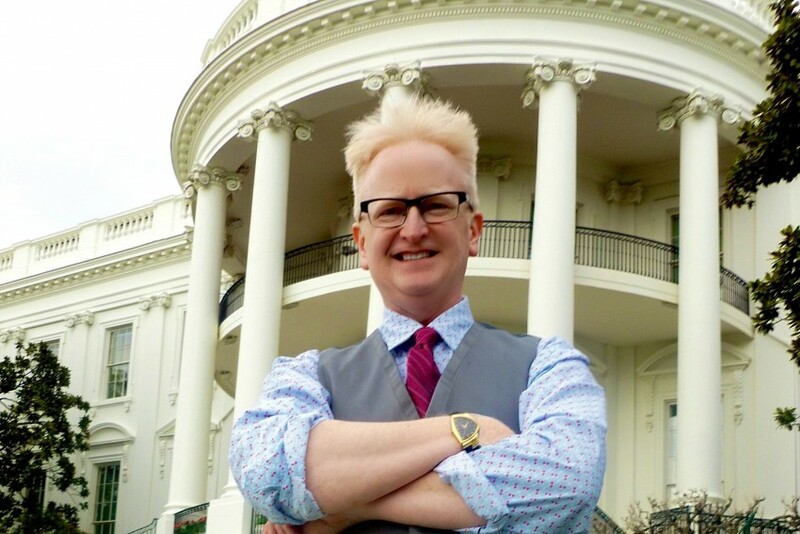 Mike has also appeared for children's events at the White House -- four times! Mike Bent's magic is AMAZING and he is hilarious. We had 35 6-year-olds in stitches! You won't be disappointed with his show. You'll only be sad when it's over! I read about the show and unfortunately didnt arrive early enough to see the entire show. Saw Mike play to 20 people in a place that could hold 100. His raucous energy and improvisational genius made for a spectacular night. His stuff is rapid fire and relentless. The best advice is to strap yourself in and hold on because once he's got you he ain't letting go. Mike's comedic timing and originality rank him among the best I've seen (and I saw Pryor). He weaves his humor around a tightly routined set of magic tricks mixed with just enough prop comedy to keep things rocking. His improvised riff on a deck of jumbo playing cards is (arguably) the funniest ten minutes of live magic this side of Vegas. Thanks Mike. We've hired Mike for the past two years for our cub scout Blue & Gold and he does an amazing job entertaining the boys and adults. We average about 60 kids and 40 adults and Mike is the only person who keeps everyone engaged and behaving while having fun. We've tried to find a different entertainer just for variety but really there isn't a better one out there. We had an absolutely wonderful time! Mike went through about 45-minutes of tricks -- that even our youngest guests enjoyed start to finish! He is spot on with demanding attention and participation from both kids and grown-ups -- it teaches us all better manners and respect. Several parents asked me for Mike's contact information during the party. I look forward to the next opportunity to celebrate with Mike! Mike did Fantastic job with 30 kids in the room; it was a Birthday Party for a 6 years old boy; communication, professionalism was amazing. KIDS LOVED IT!!! Thank you Mike for doing outstanding job. We hired Mike for a birthday party with 20 7-8 year olds. He captivated them, and they loved it. We were very pleased -- gift bags were a big hit too! Mike has an incredible way of entertaining. The kids AND the adults in the audience were laughing throughout the show. His performance was professional and extremely funny. The kids were thoroughly amused! I would highly recommend Mike for your event. We will certainly have him back again in the future!! White Mountains Community College's Student Senate hosted Mike Bent's Abrakidabra. Parents and grandparents were just as entertained as the toddlers and young teens. Awesome show. Thanks Mike! Mike Bent is a top children's performer who knows how to tickle the funny bone of not only children but also of adults. His shows feature unique magic and hilarious age appropriate humor that leaves an audience wanting more. I've seen Mike Bent doing performance and lecture on this presigeous conference and I was blown away by his incredible humour and his ability to entertain kids and adults at the same time. I've seen many shows in my life but this is deffinitely one of the very best! Hola, fuimos de cumpleaños al Magic Castle de los , Angeles y estaba este mago, nos hizo reir muchisimo, su comedia es apata para toda la familia , muchos de los chistes son visuales asi que si tu familia no habla bien ingles no le hace, se rien igual de las situaciones, hace mucho no me sorprendian en varias formas. Saw him work the Weekend Brunch show at the Magic Castle last month. Outstanding job. He was a consummate performer who was really able to connect with the audience and entertain not only the children, but the adults as as well. Truly a one of a kind performer. I have seen Mike Bent perform many time here in the UK and in the USA. He has never failed to put on a top class show. I would highly recommend Mike to perorm at any type of corporate or Birthday show. Mike is hysterical. I've seen him perform twice and occasionally I find myself laughing out loud when I think back to his performance. I don't know if he's better at entertaining a group of adults or a bunch of noisy and rowdy kids, because he's GREAT at both. If you are just looking for a performer to just occupy the kids while the adults do something else, don't waste your money hire somebody else. If you want a performer that everyone will talk about, hire Mike...he's worth a lot more than he charges. From early days as an entertainer in small social functions, to large events, including Large Children's parties, with dozens and dozens of kids, Mike has been an impressive performer. His show not only entertains kids, but adults as well. He keeps kids entertained, and his humor works for all ages! I am a production manager for special events nationwide, and I have seen Mike's show "AbraKidabra" at a few different special events, in our local town, and in the Boston area. He is definitely worth having at your next event! Review by Kathleen G. B. We had Mike at our daughter's birthday party and he was fantastic. He communicated every step of the way throughout the booking process, showed up early and put on a performance like we have never before. Not only did the kids love him, he also had the adults in stitches. Mike was dressed with the appropriate attire and all of our guests loved him. I highly recommend Mike for your next event. Get ready for ABRAKIDABRA!™, an exciting and fun magic show developed especially for kids and families by Mike Bent. In the 20 years that Mike has been entertaining audiences, he has gained the reputation as one of the best comedy-magicians in the country. He is the only magician to have won the prestigious "Best of Boston®" award from the editors of Boston Magazine. The Boston Globe has called him "wonderfully wacky, and "a brilliantly original talent." Considered one of the top children’s magicians in the United States, his books, products and lectures have become the standard for the industry. As MAGIC magazine wrote, “Mike Bent really understands children’s comedy.” In September of 2008 Mike presented a lecture on performing for children for the International Brotherhood of Magicians' convention in England. This convention covers all of the United Kingdom! In 2005, 2006 and 2009 and 2010, Mike was invited to perform alongside Justin Bieber, the cast of "Glee," pop-sensation Fergie, animal expert Jack Hanna and the Disney Channel's Aly & A.J for the Annual White House Easter Egg Roll, where he entertained 30,000 guests! The official program called Mike “one of the most creative and imaginative people in magic.” This "Command Performance" is considered one of the highest honors for a professional children's entertainer. Mike’s unique, appealing style leaves audiences of all ages and descriptions laughing and scratching their heads, long after he has left the stage. 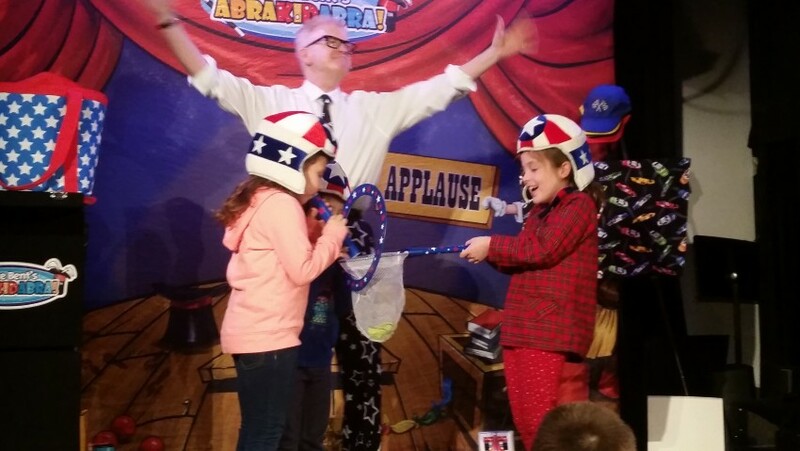 ABRAKIDABRA!™ is a state-of-the-art magic show written especially for children, that combines amazing magic, big laughs, and hilarious surprises for a completely interactive experience. The children become part of the show. They help make the "magic" happen. Each performance is custom-made to suit your individual needs and the age of the children at your event. Mike entertains the children without talking down to them, and he constantly updates the show to keep up with the changing taste and interests of even the hippest kids. Have Mike perform at your next event and you'll see why audiences never forget his unique blend of outrageous fun!